The famous philosopher, George Santayana once said: “Those who cannot remember the past are condemned to repeat it.” In other words, when we do not remember history we will repeat its terrors. As the Church, we have been called to be a moral compass of righteousness. We are not called to be judgmental boasters, but rather, vessels whose very lives remind our communities, states, nations and medias that our God is worthy of all honor, praise, and devotion. It is easy to see that our country, America, is drifting farther and farther from righteousness and looking more like a country that does not fear God or honor His ways. In some ways it is a sad dark season and yet we have hope and the Church has been given an opportunity to shine in the darkness. God alone is the creator of all. He builds temples, and destroys temples. He raises up nations, and topples nations to the ground. Our God is at the very center of our world, and thus He should be honored with listening ears and loving, obedient hearts. Today, as in times past, the nations are at a crossroad with the God of Abraham, Isaac, and Jacob—the God of Jerusalem, the city He chose for His Name to abide. 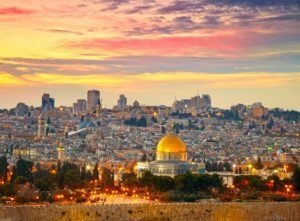 And we, both as individuals, as well as citizens of the nations, will be judged by how we interact with Jerusalem—the city at the center of the world. We see evidence of this crossroad in the daily news and posted all over social media. Israel and Jerusalem are at the forefront of discussion and disagreement. With Tisha B’Av—the day of commemoration of the destruction of the First and Second Temples—fast approaching on July 26th of this year (beginning on the evening of the 25th), we have the unique opportunity to not only remember Jewish history, but also to examine our hearts and minds so that we do not, in fact, repeat the tragic events of the past. Are we making wise choices that honor our own personal temples as His abiding place? If not, what changes can we make in this area? Are we honoring the Body of Messiah—the Body of Christ—by walking in love rather than offense? Or are we so busy focusing on our difference we are simply multiplying the division? 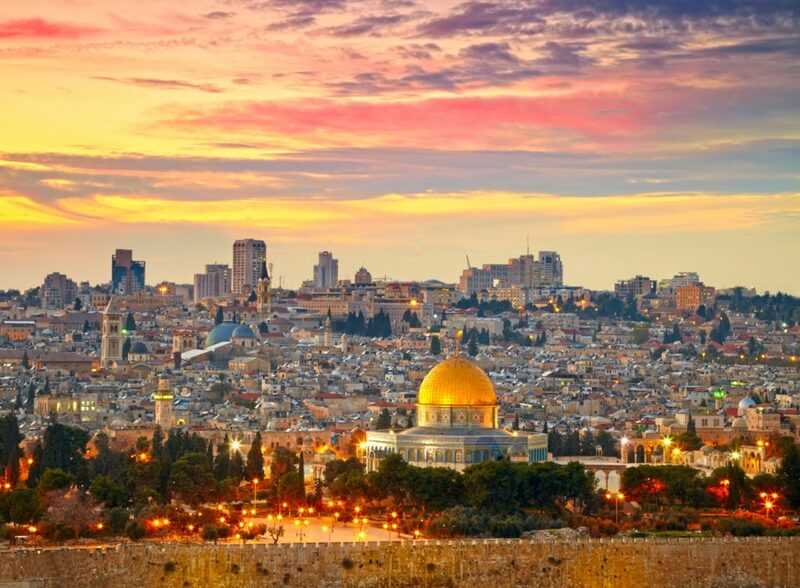 Are we honoring Jerusalem by praying for her peace as instructed in Psalm 122:6? And, most importantly… Are we honoring God, His Spirit, His Son—His Word who became flesh and dwelt among us?